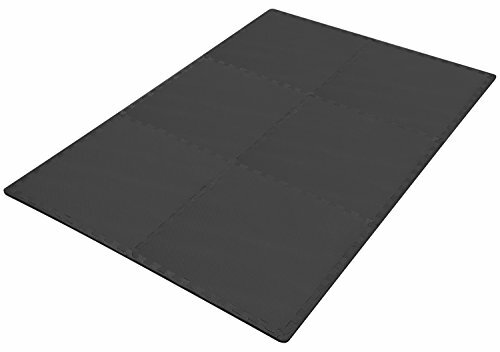 1/2″ Thick, 24 Square Feet: Item comes with 6 tiles and 12 end borders at 1/2″ thick. Each tile measures 24″x24″x1/2″. Covers 24 Square Feet area. 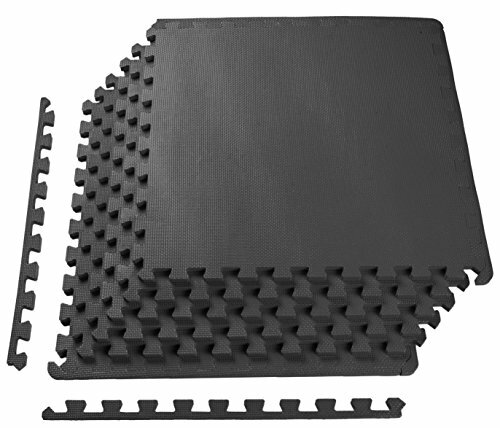 1/2″ Thick, 144 Square Feet: Item comes with 36 tiles and 72 end borders at 1/2″ thick. Each tile measures 24″x24″x1/2″. Covers 144 Square Feet area. 3/4″ Thick, 24 Square Feet: Item comes with 6 tiles and 12 end borders at 3/4″ thick. Each tile measures 24″x24″x3/4″. Covers 24 Square Feet area. 3/4″ Thick, 96 Square Feet: Item comes with 24 tiles and 48 end borders at 3/4″ thick. Each tile measures 24″x24″x3/4″. Covers 96 Square Feet area.